Producer Judy Craymer has revealed that the storyline for the Spice Girls’ musical focuses on wanting to be famous, adoption and the perils of reality shows like X Factor. Viva Forever is due to open in the West End next year and has been written by Jennifer Saunders. It will feature two generations of women and a set of reality show judges. 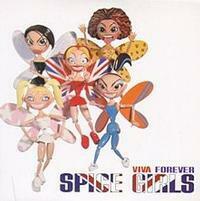 The story isn’t biographical but it will make reference to Geri Halliwell leaving the band.